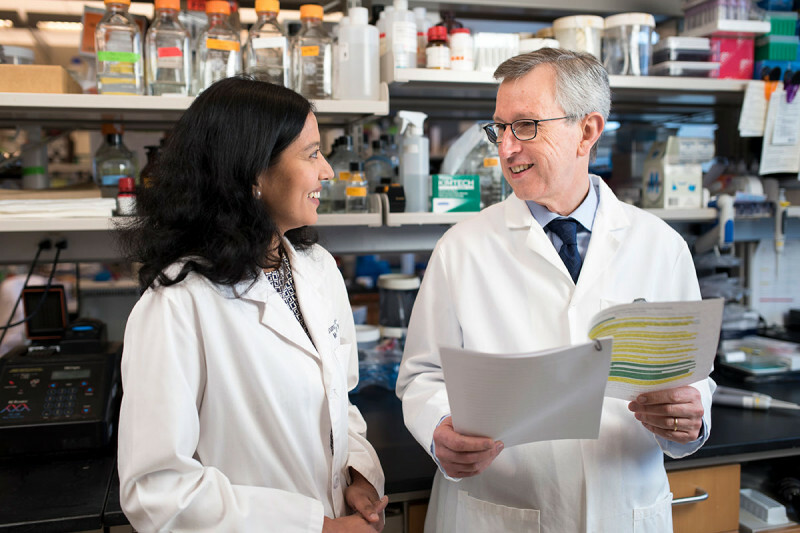 Sloan Kettering Institute Director Joan Massagué (right), pictured here with laboratory member Karuna Ganesh, has been studying the biology behind cancer metastasis for nearly two decades. Investigators at Memorial Sloan Kettering are conducting research to figure out how cancer cells are able to escape from the original tumor and hide out in the body. Their ultimate goal is to find ways to prevent metastatic tumors from forming. Cancer metastasis occurs when cells break off from a tumor, spread through the bloodstream or lymph vessels, and establish themselves in another part of the body. Many primary tumors can be eliminated with surgery, chemotherapy, and other treatments. Once cancer is widely disseminated, however, it becomes much harder to stop. This is especially true when it spreads to vital organs, such as the lungs, liver, or brain. In fact, it is widely estimated that 90% of cancer deaths are due to metastatic disease rather than the original tumor. Memorial Sloan Kettering cancer biologist Joan Massagué, Director of the Sloan Kettering Institute, has been studying the biology behind cancer metastasis for nearly two decades. His work has led to groundbreaking discoveries about the genes that influence how tumors interact with their environment. These genes allow cancer cells to enter and exit the bloodstream and lymphatic system so they can colonize various organs. Cancer metastasis occurs when cells break off from a tumor, spread through the bloodstream or lymph vessels, and establish themselves in another part of the body. Learn more about how cancer metastasis works. Much of Dr. Massagué’s current work is focused on latent metastasis, which is also called dormant metastasis or residual disease. From the time a tumor first forms, it sheds cancerous cells. These cells may travel to other parts of the body, where they are able to evade detection for months, years, or even decades. Even after treatment for the primary tumor leaves a person cancer free, some of these cells may be left behind. “This is not in itself cause for alarm,” he notes. “Even though these cells are pathogenic, that doesn’t mean the person has active disease.” He uses the analogy of having germs on your hands: Just because you’ve picked up dangerous microbes from touching a doorknob, it doesn’t mean you will automatically get sick. “For an infection to occur, germs must break through the barrier of immunity. Cancer has to break through that barrier, too,” says Dr. Massagué, who also leads the Alan and Sandra Gerry Metastasis and Tumor Ecosystems Center. We need better ways to find and eliminate cells that are not yet growing but could cause trouble in the future. When disease is not a problem, that may be when you can attack it most efficiently. In the same way that the immune system protects us from infection, it also detects and kills the vast majority of cancer cells that are circulating through our bodies. “One important research effort is to find ways to help the immune system kill the cells that remain, so we can decrease the probability that a few pathogenic cells will break through,” Dr. Massagué says. Animal models that closely replicate what happens in the human body are important for studying metastasis. 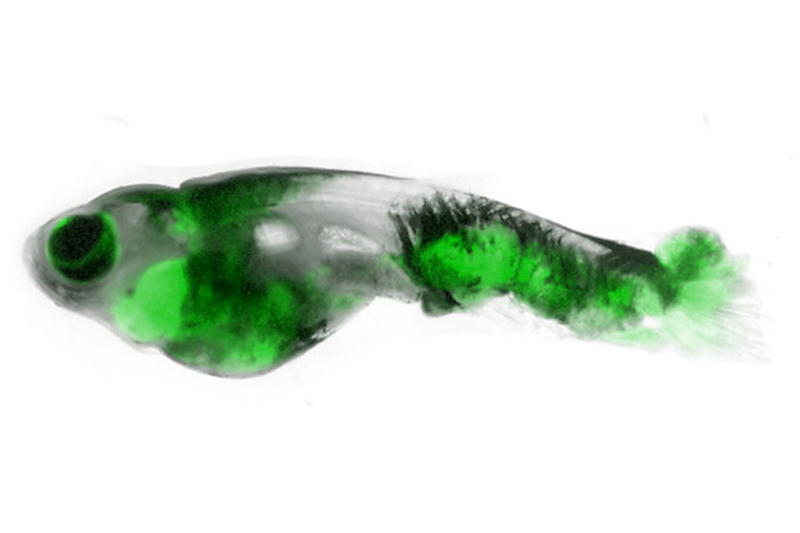 Although research done in a dish or test tube is also essential, there are certain aspects of latent disease that are best studied in animals, especially mice and zebrafish. In addition, large numbers of samples collected from patients are needed. These include samples from primary tumors, metastatic tumors, and circulating tumor DNA. From these, researchers can analyze and sequence the DNA from tumors at all stages and look for patterns. Because of the resources they have and the degree to which they collaborate with one another and the doctors on MSK’s various disease management teams, researchers at SKI are uniquely positioned to take advantage of these tools. In particular, Dr. Massagué notes the expertise in the Cancer Biology and Genetics, Computational and Systems Biology, and Immunology programs in tackling many of these questions. “This is exciting work, and an exciting time to be doing it,” he concludes. Learn about the work Memorial Sloan Kettering scientists are doing in the area of metastasis and drug resistance. Does the Memorial Sloan Kettering Cancer Center in Basking Ridge, NJ treat Liver Metastasis? Dear Denise, we have do have doctors at Basking Ridge who treat liver metastases, including medical oncologists and surgeons. However, if surgery is recommended, all of those procedures are done at Memorial Hospital in Manhattan. To make an appointment to learn more, you can call 800-525-2225 or go to https://www.mskcc.org/experience/become-patient/appointment for more information. Do you have any treatment plans or trials that treat uveal melanoma with Metastases to the liver and spine? Dear Karen, we do have some trials for uveal melanoma. If you would like to arrange a consultation to learn more, you can call 800-525-2225 or go to https://www.mskcc.org/experience/become-patient/appointment for more information on making an appointment. Thank you for your comment, and best wishes to you. Is There a treatment for stage 4 gallbladder cancer with metastasized nodes ? Dear Moncef, depending on which mutations are found in the tumor, a targeted therapy may be effective. Immunotherapy may also be an option. If you are interested in making an appointment to learn about treatment options, you can call 800-525-2225 or go to https://www.mskcc.org/experience/become-patient/appointment for more information. Thank you for your comment and best wishes to you. Dear Joe, if you’re interested in coming to MSK for a second opinion you can call our Patient Access Service at 800-525-2225. The experts who answer the phone will be able to answer your questions, including about insurance coverage and costs. You can go to https://www.mskcc.org/experience/become-patient/appointment for more information. Thank you for your comment and best wishes to you.